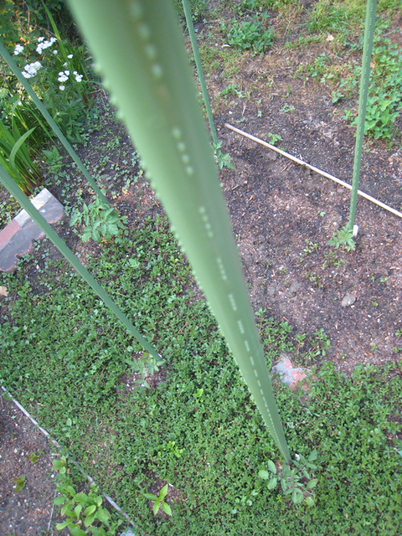 New tomato stakes are in. So far 'Lemon Boy' is in the lead. 'Ilde,' the one that was snipped off the day after planting, did not revive itself so we're down one – that leaves 5 which is plenty for this small space.